Provides the power of an overnight soak in just 10 minutes. 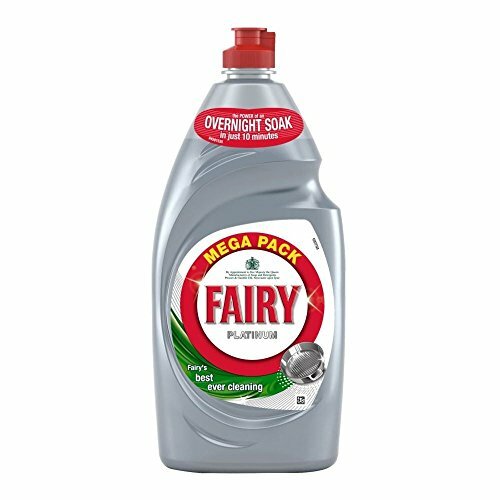 Fairy Platinum offers Fairy's best ever cleaning against the toughest grease cleaning challenges. Available in Original and Lemon scents. 870ml. Fairy's best ever cleaning with built in soaking action for the toughest grease cleaning challenges. The Fairy technology quickly penetrates and weakens residues on dishes saving you time and effort. If you have any questions about this product by Fairy, contact us by completing and submitting the form below. If you are looking for a specif part number, please include it with your message.